Can't believe it's over a week since I posted. Last week was really busy. Beginningpart of the week was spent getting ready for going to London, had to pack the kids off to inlaws etc so quite a lot to do. On Thursday 6am we got on the coach to London and arrived at our hotel early afternoon. After a quick shower and rest we hit the streets for some sigthseeing. We had a look around Covent Garden, then walked down to Picadilly Circus and ended up having an early evening meal in China Town. Friday was the big day. Simon set off around 8am for his museum/walking tour day. He saw the Terracotta Army at the British Museum and then did a walking tour around some of the main sites in London. I set off at 8.30 am for Alexandra Palace and the Knitting and Stitching Show. I had volunteered to help out at UK Handknitting Assocation's Relax & Knit area for 3 hours in the morning. 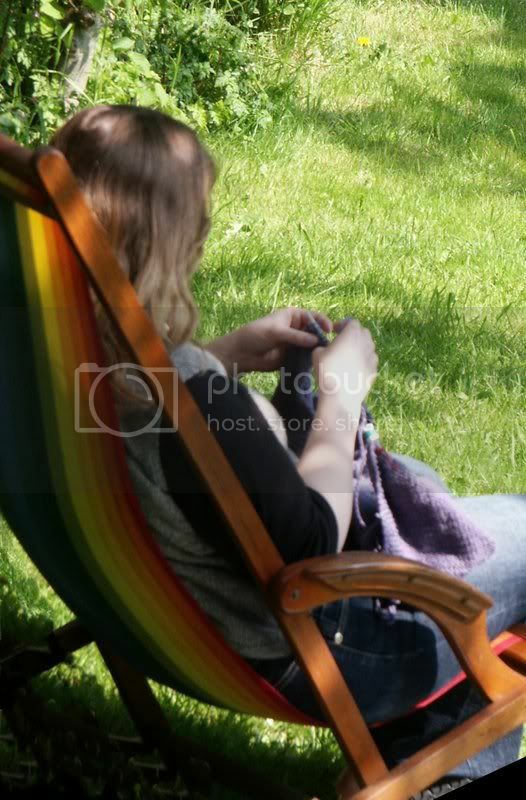 I thought it would be very much relax & knit and chat to people. It was actually a solid 3 hours of teaching teenage girls how to knit which I quite enjoyed but it was hard work but they were all keen to learn and some did really well but others struggled a bit. By 1pm I was shattered and staggered off to find somewhere to sit and have my lunch and down a bottle of water. Then it was shopping time. There were some stalls I had planned to vist and lots of nice shops I didn't know excisted. I stopped by Kerrie at HipKnits to pick up my copy of Yarn Forward and buy some Aran Silk. Couldn't decide on which colour so got two of each. I really wanted 4 of each but decided that'd be over the top. I may combine the two for a Clapotis as I must be the only one who has yet to knit one. It was great to meet Kerrie finally and her little baby, Trinity, who is even more cute irl than on Kerrie's blog. What a happy little girl she was. 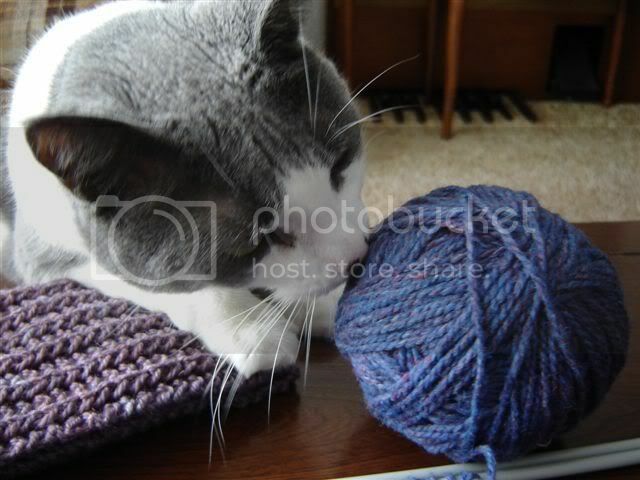 The new Yarn Forward is fantastic. The content is excellent as always and this time the printing quality was excellent too. And inside the back cover there is something from me that'll be in the next issue due around Christmas time I think. As you can see from the pic, I also picked up a copy fo the new mag, Let's Knit, which looks good although very similar to the other 3 big UK mags. I visited the House of Hemp stall at FibreFest but although the colours were gorgeous, the hemp didn't feel quite as soft as I like my yarn to be. But I've read somewhere recently that it softens up qutie a lot so I endedup buying these little 50gr 2ply skeins. Also got a pattern book. The ladies on the stall were all wearing hemp cardis and they wre lovely. And the company is based in Cornwall. I'm planning something that'll incorporate all hte colours into one item. Exactly what that will be is a mystery at the moment. From Knit Witches, anotehr new company to me, I got this gorgeous skein of laceweight silk. They had so much gorgeous silk yarn and I could have ended up buying a lot more from them. Also got some silk from Natural Dye Studio. Four little 25gr skeins in gorgeous colours. I may use all 4 skeins for one project or split them into twos. Each skein is 250 m (or is it yards). Ended up with a skein of Merino Tencel from NDS too.It's the same colourway as one of the mini silk skeins. Knit & Caboodle had lots of gorgeous, useful accessories on their stall. I got some purple pins (very similar to Boyes) and some Hiya Hiya needles which are hollow stainless steel and a dream to knit with. Also got a wpi tool for my spinning and this fantastic sock wip tube which is really useful. Stops your stitches from coming off dpns during transport. Two tubes in a pack. Will be getting some mor eof these. Touch Yarns from New Zealand were there too with their gorgeous yarns. Joyce of Spin A Yarn in Devon stocks thier yarns so I'm very familiar with some of thier yarn. In fact I knitted ashrug in some of their merino boucle last week which I wore daily in London. This time I was tempted by some of their roving which is merino/silk and gorgeous colours. The red one is being spun right now. I was after a couple of books too and managed to get this one by Twisted Sisters/Lynne Vogel. It looks fantastic and very useful. I got some Kureyon and some soya yarn earmarked for sweaters and will use this book to design them. I missed out quite a few stalls due to time constraint. I left after 4.30pm absolutely shattered. They had some Quiviot for sale which was around £60 for 100gr. And someone I know bought some. It was gorgeous and soft but too expensive for me. One of the other volunteers at the Knit & Relax bought some yak which was gorgeous and I was tempted to get some. Cherry Tree Hill and Get Knitted had some fantastic stuff as did Fyberspates. I wanted to get some FAbel from Scandinavian Knitting Design but didn't even find their stall. I could easily ahve spent anotehr day there. Maybe next year I'll ahve to go for 2 days. We finished off the Friday with anotehr meal in Chinatown although we were almost too tired to drag ourselves out of the hotel. But hunger overcame the tiredness. We went to the Victoria & Albert Museum on Saturday befoe heading homne on the coach in the evening. I've been shattered since we came back and have done very little. Although I managed to dye some yarns today including the new prototype for the November club yarn. Sounds like a fantastic time Anni, and your haul looks wonderful! I especially love the colours you've chosen. I havent heard about the new knitting mag, so might have to have a look when I'm in town later in the week although I tend to only really like Interweave. You certainly got some great yarns there. The sock carrying device looks like a great idea. Wow! What a time! Sounds like fun, exhausting, but fun. I was just looking at that twisted sisters book the other day in a catalog and fussing that I wish I could actully look through the book to see what was inside. Lovely yarn. Welcome back. I always wanted to go to Ally Pally, but never managed it. Can we have pictures of your spinning please? Sounds like you had a wonderful time. 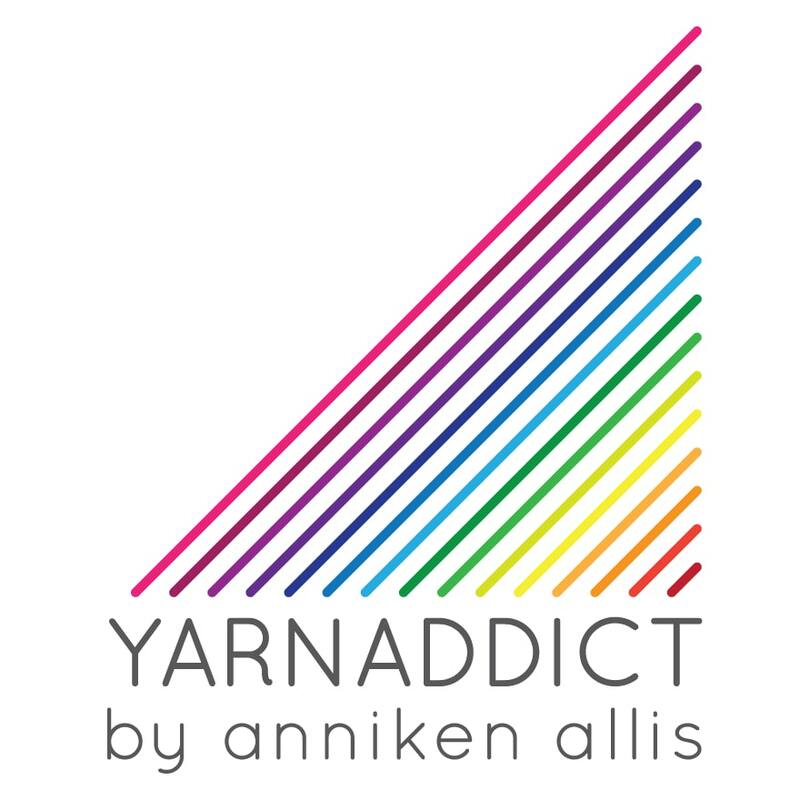 Wow, you sure got a lot of beautiful yarns - such pretty colourways! Oh...forgot to add that I haven't knit Clapotis yet either. I'm glad I'm not alone then Shelley. Pics of spinning coming soon.